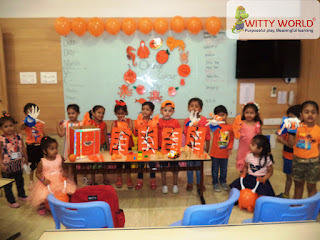 The little Wittians of Junior KG at Witty World, Bhilwara were introduced to Orange colour on Friday, August 03’ 2018. 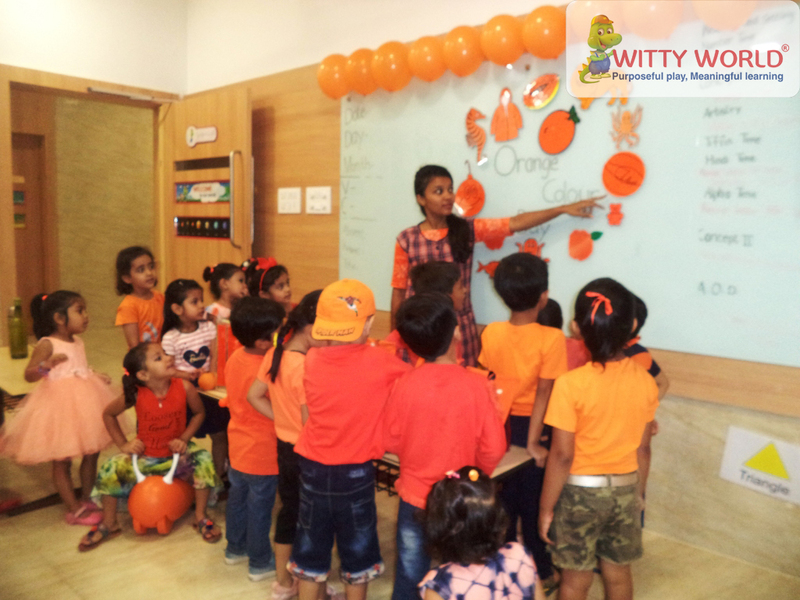 Orange is the colour of success, enthusiasm and joy. 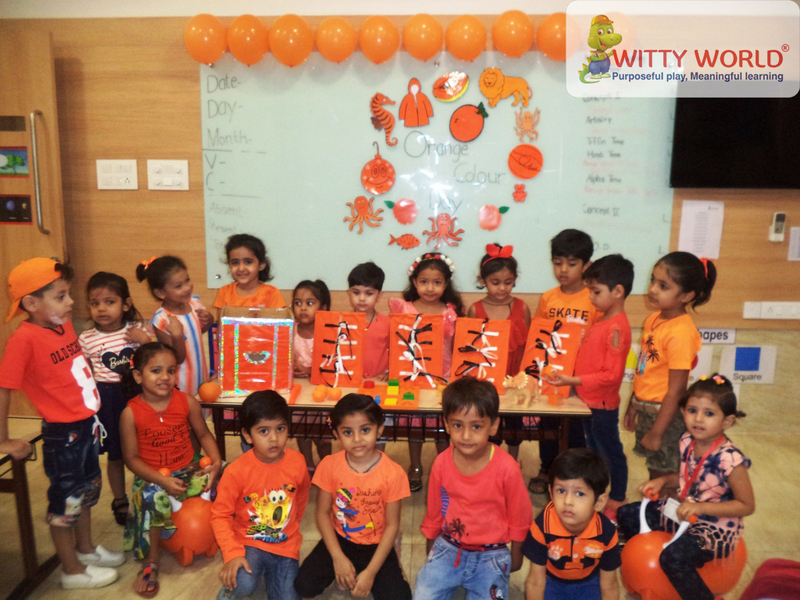 It is a blend of red and yellow on the spectrum of light. 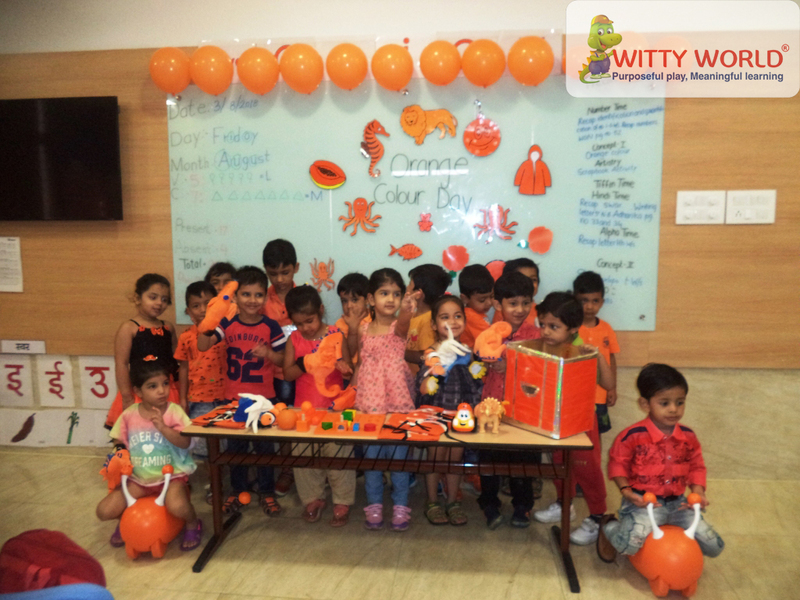 This is a symbolic colour of Buddhism and Hinduism. The entire classroom was decorated with orange colour objects, balloons etc. 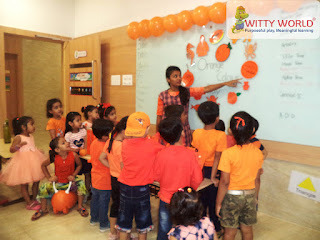 Chidren and teachers came in orange colour dresses. 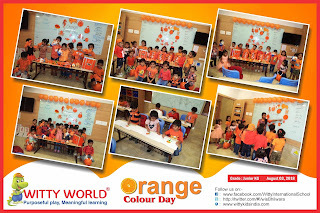 Children celebrated orange colour with great fun. Through this activity they got acquaint to the secondary colour that is “Orange”.